The abandoned road construction between the N1 and R71 towards Moria in Polokwane is expected to lead to traffic congestion and delays over the Easter holidays. The road construction was stopped after the main contractor, Basil Read filed for business rescue in June 2018. 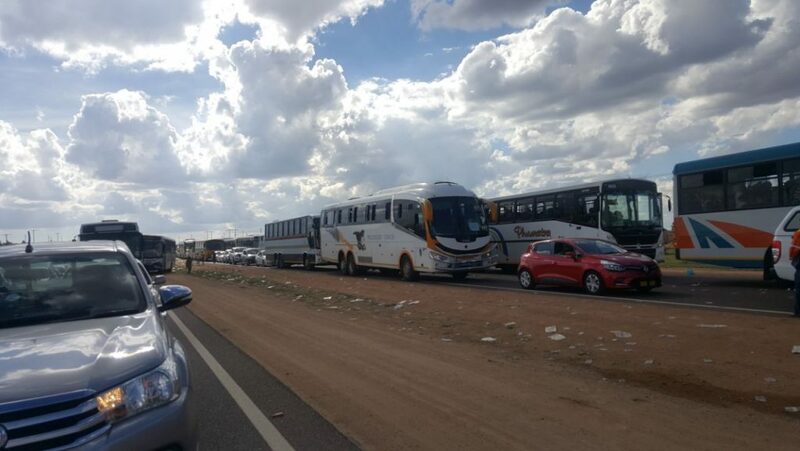 Thousands of travellers are expected to travel on the unfinished roads as they make their way to various destinations, including to the ZCC Easter pilgrimage in Moria. Regional manager for Sanral’s Northern region, Progress Hlahla says they’re aware that the suspension of the project has created disruption to traffic and inconveniences road users. Hlahla says that Sanral is in discussion with the contractor’s insurance company to find another suitably qualified and experienced contractor to complete the work on behalf of Basil Read. Alternatively, Sanral will call for formal tenders for the completion of the outstanding work. The process will take about six months. Breathalyser tests for drunk drivers that will stand up in court will be rolled out to the entire country in 2019. Addressing the launching of the Easter Road Safety Campaign in Pietermaritzburg, Transport Minister Blade Nzimande says the more stringent system has been successfully piloted across four provinces. Drunk driving is one of the biggest causes of road accidents in South Africa. Nzimande says it means that authorities will be able to prosecute drunk driving cases much faster. The post Abandoned road construction to negatively affect Moria Easter traffic appeared first on SABC News – Breaking news, special reports, world, business, sport coverage of all South African current events. Africa's news leader..